Konnoisseur Institute of Training and Education(K.I.T.E.) is affiliated to All India Early Childhood Care and Education.CR Regd. By Ministry of HRD, Govt of India,Department of Secondary & Higher Education. K.I.T.E. 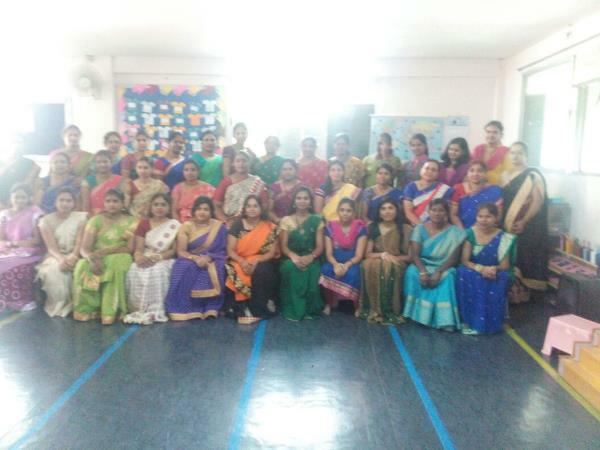 a charitable Organisation, started Nursery Teacher’s Training Course with the help & co-operation of educational experts with a view to train unemployed educated girls, particularly the girls of Scheduled Caste, Scheduled Tribes and Backward class, so that they may impart education, based on modern lines to Pre-school children, with a stress on moral, intellectual, Physical & social personality, as it was found, that there was no training for teachers in India for Pre-school going children education. The organisation takes guidance from AIECCE , New Delhi & (Govt. Of India). Therefore, it is in line with research work at N.C.E.R.T.,K.I.T.E is trying to make successful the vocational training program by imparting Nursery Teacher Training to unemployed educated women. FEATURES: •	Certified and experienced teaching Staff •	Regular & Weekend classes •	Equal Emphasis on Theory & Practical Sessions •	Students are trained on modern methods of teaching •	Nominal Fee Structure & Instalment facilities •	Art & craft, Drawing & Painting, puppet making, Origami, Calligraphy, Story Narration....etc •	Ideal Career opportunity for Home makers, Young mothers as there is abundant requirement for Certified NTT teachers. •	100% Placement Assistance Konnoisseur also provides its service in Early childhood care through Konnoisseur Montessori School & Day Care Centre.. It was established in the year 2008 by leading educationists who have been serving in the field of technical education for over 2 ½ decades. Konnoisseur follows Montessori Method of education in serving children between the age group of 2 to 6 years. We at Konnoisseur believe that children of this age group are in the most sensitive stage of development and need individual attention. When we view from the perspective of the child the first formative years are very crucial, highly constructive and also difficult. The fundamental learning that happens at this stage is one that cannot be acquired in the later years. With more and more families having both parents working, there is a need for the school to be a second home where the child gets plenty of attention, love, sense of belonging and a feeling of security. FEATURES •	CCTV Surveillance •	Smart Class Enabled – online Interactive learning •	Value-based Education •	Art and creative activities. •	Outdoor activities •	Music, drama through rhymes & storytelling, dramatization •	Sports & Extra-curricular activities •	Dedicated, Trained Adults & Attendants •	Ideal staff child ratio •	Audio Visual Room Facility •	Regular Parent-Teacher meetings •	Ambience •	Emphasis on health & hygiene •	Environmental Education •	Nature study & Adventure Camps •	Public speaking & presentation •	Affordable & Reasonable Fee structure •	Day Care Facility We at Konnoisseur strongly endorse the fact that the love and care your child receives from his/ her immediate environment is equally important for healthy brain development and - will have an influence on your childs life. Konnoisseur aims at creating an environment where chilldren love to learn. The prepared environment with a trained guide promotes independence, self-discipline, confidence, and respect for a childs personal and social life.The environment is child friendly, safe, warm and provides ample scope for children to freely move around, relax, settle down and learn at their own pace. We provide a spacious work space and an outer play area. Cleanliness and Hygiene are of great importance in Konnoisseur's Environment. 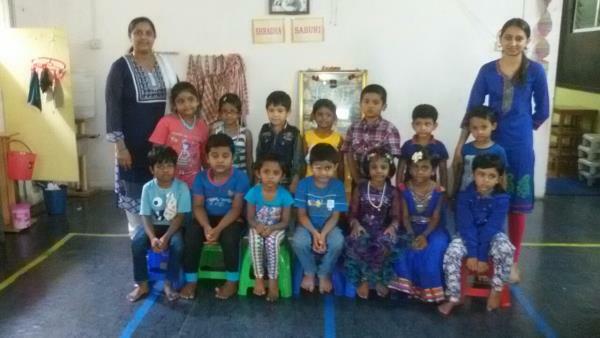 The adults/teachers at Konnoisseur Montessori are trained and certified from the leading Montessori training centres like IMTC, IIMS, Konnoisseur .We maintain a very healthy child adult ratio of 1:12 which means that every adult has only 12 children to observe ,offer presentations and follow-up. The children are taken care of by our caring and committed staff. 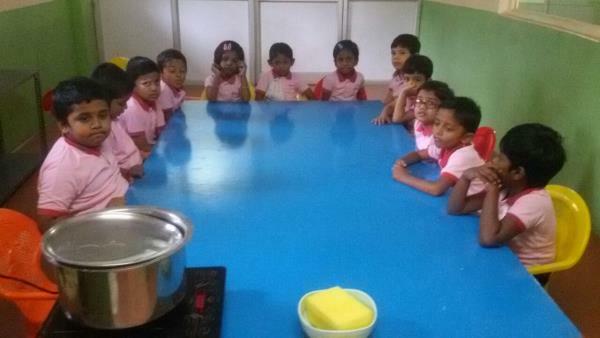 The children enrolled for Toddler Group, Play School / Pre-Montessori are taken care of by nursery trained adults.